Peabody Spotlight is a digital series produced by the Peabody Media Center at the University of Georgia. Each part of the series draws from the vast Peabody Awards archives, the third-largest repository of audiovisual materials in the United States. Peabody Spotlight will focus on significant societal issues as represented through the storytelling of Peabody winners and finalists, as well as more than 70 years of broadcasting’s best programming. In celebration of Black History Month, Peabody Spotlight will revisit African-American history from several perspectives: how race has been a defining feature of the long struggle for equality and justice for all of Baltimore’s citizens; black power and creative expression in the civil rights era, as represented by artists such as James Brown, Nina Simone and Gordon Parks; historical documentaries focused on the rich tapestry of black experience in America; and contemporary Peabody-winning programming by some of the most creative African-American storytellers working in television today. 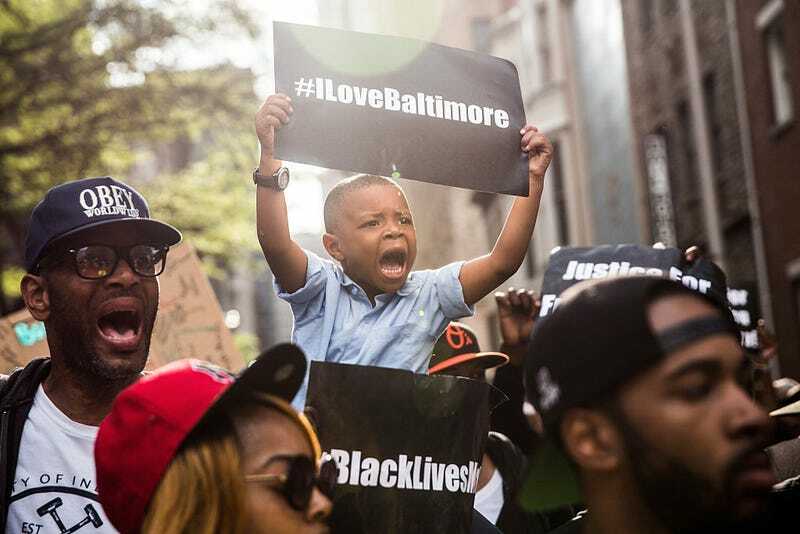 Baltimore has been a case study of race relations in America since the mid-1950s. In 2015, Peabody Awards finalist MSNBC’s All In With Chris Hayes visited the city after the unrest following the death of Gray to deconstruct what happened. Hayes’ “Back to Baltimore” prompted a search through the Peabody Archive to see how racial tensions—and the city’s response to them—have evolved over the years. And, of course, what was found revealed how poverty, social class, housing segregation and lack of investment in infrastructure—precisely the factors that stoked the fires of unrest in the 1960s—remain key ingredients in the city’s struggles today. Peabody Archive content illustrates that the conversation about race in Baltimore began long before the death of a young man in police custody. Indeed, as Dwight Watkins, an author and native of East Baltimore, told Hayes: “Freddie Gray was the tipping point, but there’s a whole laundry list of systemic issues that brought these things about,” he says. This Peabody Spotlight feature offers a brief view into how those issues have been discussed and debated in television programming for the last 70 years.